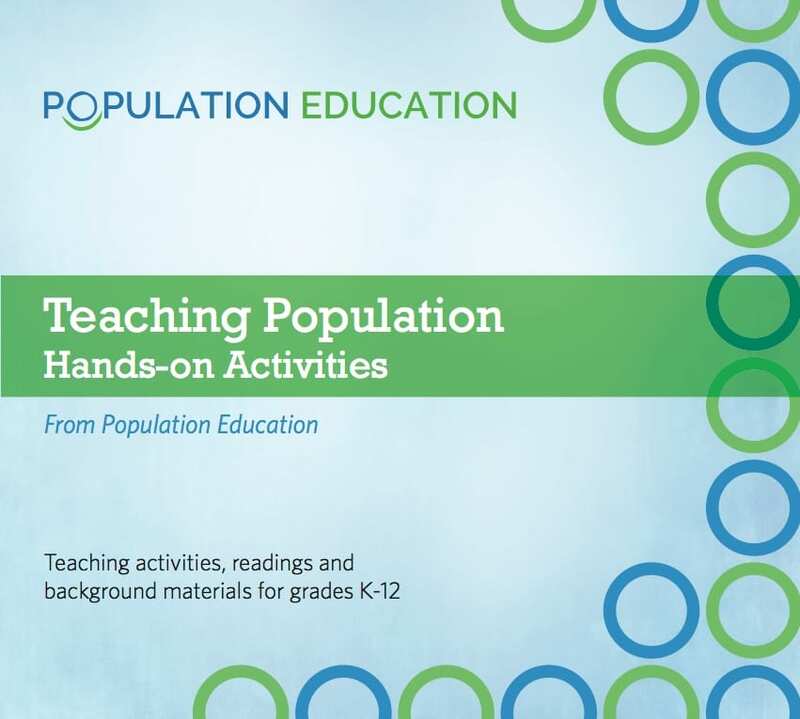 Teaching Population is the ultimate multi-disciplinary tool to introduce students of all ages to how human population has grown and shaped the world around us. It’s ecology, geography, anthropology, economics, biology, history, civics and real-world math all rolled into one. The resource is fully online – no book or CD-ROM needed! It offers 61 of our “best of” hands-on lesson plans and activities for grades K-12, along with 24 student readings. User-friendly menus help you search for activities by grade, subject level and teaching concept. In addition to activity lesson plans, you’ll find supplemental materials for teachers and students that include background readings, case studies and infographics. After purchasing, you will receive a URL and passcode. Enter the site at any time to access up-to-date and classroom-ready resources. Crowding Can Be Seedy (pdf): A simulation and gardening lab give students hands-on experience with the effects of increasing population density. Everything is Connected (pdf): Students identify ways that many factors in human society and the natural environment are interdependent by creating a concept map. Food for Thought (pdf): In this global simulation, students act as the residents of five major regions of the world, compare various statistics that affect people’s health, happiness, and well-being. Lessons for Life (pdf): Students read and discuss a short conversation between two Ethiopian girls, watch two photo essays of school girls in less developed countries, and interpret a graph illustrating the link between female education and fertility rates worldwide. Panther Hunt (pdf): Students gain an understanding of carrying capacity when they act as predatory animals in a finite area and attempt to accumulate enough food to stay alive. Population Riddles (pdf): Riddles that help students conceptualize large numbers and understand the concepts of exponential growth and doubling time. Pop Quiz (pdf): A pre-test/post-test quiz designed to give teachers and students an overview of world and U.S. population trends. A World of Difference (pdf): Using dried beans and nuts, students model the probability of biodiversity loss, and the impact human population growth can have on the variety of species in two different forest ecosystems. What are People’s Basic Needs? – An elementary-level reading that describes the basic needs for all people.